The December 2015 Veterans' Affairs newsletter is at this link. This issue covers More Support and More Services for More Veterans, an update on service delivery for Veterans' Affairs, the Veterans' Advisory Board, and Top-ups to ACC Entitlements. Veterans in Australia advise that Mike Wihapi lost his fight with prostate cancer last night 9 December. Funeral to be held on Monday 14 December with other details still to be announced. The Timaru reunion will likely be known as the most relaxed. There was a good turnout by veterans and family, and Timaru RSA proved to be an excellent host and venue. The reunion was held over the weekend 13 - 15 November 2015. The first photo shows the roll call of veterans who attended a brief service at Dave Wright's place [the headstone on the left and next to his father's headstone]. Wally Goodman is holding Dave Wright's personal flag which is kept inside the Esk Valley church on the hill. 54 W3 veterans attended, and Craig Linton [a more recent veteran] stood in for Dave Nesbitt's family. most apologies were for medical reasons, and most concerned an operation on a part of a leg. there were fewer wives in attendance than recent reunions, but they toiled mightily and their presence was appreciated. most distance travelled were Frank and Kerrie Ryan from Perth. Frank Ryan was confirmed as the youngest W3 veteran, Doug Mackintosh was still the oldest, together they cut the reunion cake. greatest degree of difficulty in travelling was Ian Herd with electric wheelchair from Brisbane. dob's and donations raised $600 for the W3 memorial scholarships. W3 has started a 'CQMS Store' web page for the sale of W3 themed items and other works of interest . payment of the website hosting fees was approved until the next reunion. the church service was held at the RSA due to rain, the order of service drafted by Father Fennessy is here and the reading from Ecclesiasticus Chapter 44:1-15 seemed to sum up the varied contributions of the W3 veterans. 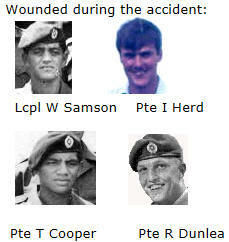 the last photograph is of members of Dave Wright's section present when Dave was wounded on 30 January 1970 - Rex Ryan, Danny Campbell, Dave Hall, Ngatoko Kupe and section commander Wally Goodman. further photos will be added here as time allows, including the Reunion Booklet. next reunion is in three years, November 2018 in Dunedin, Hugh Auld and Len Tallentire forming the steering committee. the 50th reunion will be held in Christchurch in November 2020.
there is a suggestion that platoon breakfasts be held on the Saturday. photos added to website - many supplied photos lack clarity suitable for publishing so more photos taken during the weekend are invited, send here. veterans need reminding to register themselves and their families with Veterans Affairs, and have the annual medical check completed. reunion planning checklist to be drafted and supplied to steering committees. action to locate suitable photos of the three KIA W3 veterans, preferably of the 'Mr Lee' head & shoulders style. further stories to be added to the website personal recollections section. Reunion Newsletter 3 is at this link - the newsletter has final details from the organisers including two motions for the AGM. The newsletter has been emailed to veterans or whanau who have registered their email address. 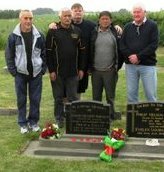 There are two Reunion projects still open for contributions: photos of deceased veterans' headstones, and the opportunity for Maori to add their tribal affiliations alongside their name on the veterans' roll. Bay Watch Motor Lodge Timaru, who are offering a reunion discount, have advised the reunion committee that other bookings are filling the available rooms - if you are attending the reunion you are encouraged to have your accommodation sorted. The Board recently held its final funding round for 2015. In 2015 we made a total of 32 grants. 84% of applications received were successful. 81% of applications granted were from first time applicants. The remainder were repeat applicants (the Board will accept up to three applications per person limited to one application per calendar year with first time applicants receiving priority). 84% of applications granted were from persons resident in NZ. The remainder were from Australia and the UK. 34% of applications granted were from the children of Vietnam veterans. 66% were from grandchildren. 50% were male, 50% female (this was the highest ever ratio of males to females recorded). 66% were <20 YO; 6% were aged between 20 and 30 while 38% were 31>. 59% of grants had an education focus; 19% were sports related while the remaining 22% were categorized as 'other'. The closing date for the next funding round is Friday 18 March 2016. A message forwarded from Australia advised that Richard [or Paul] Malloy lost his battle with cancer on 24 August 2015 at Massey Auckland. He requested a private service. A message forwarded from Australia advises that Arthur Burton lost his battle with lung cancer on 11 September. Arthur's son Daryl's email address is darylburton@xtra.co.nz if veterans wish to contact the family. Post tributes for the W3 website here. A service for Arthur Burton will take place at Gregson & Weight Funeral Chapel, 5 Gregson Pl, Caloundra at 1300hrs Fri 18 Sep. The Caloundra RSL Sub Branch will be conducting the Poppy Service. Arthurs service started in 1952 at the RF Cadet School [Williams Class] graduating into RNZE, later 1RNZIR 63/65, Spt Coy W3 SVN and finally TF RNZAMC. Evan is 79 today, he was the youngest company commander posted to V Force. Happy birthday Boss and best wishes for a great year on behalf of W3 veterans, looking forward to catching up at Reunion 2015 Timaru in November. Wayne Lindsay W1 is a veterans advocate for 100 Kiwi veterans in Queensland and Northern New South Wales. Among his charges are Arthur Burton and Michael [Mike] Wihapi, both seriously ill. Arthur's condition has already been reported on [see item dated 22 August] but Mike Wihapi is one who Wayne reports had fallen through the cracks. Mike has Prostate Cancer, Ischaemic Heart Disease [coronary artery disease] and COAD [chronic obstructive airways disease]. Mike's COAD requires him to be on portable and home oxygen. Mike has never made a claim on VANZ before, so Wayne has organised him a VANZ Case Manager and completed claims for the above conditions on his behalf. Wayne has also helped Mike organise with the Department of Veterans Affairs [DVA] to change to the Australian Service Pension, as having resided in Australia for more than 10 years, from the Age Pension [like in NZ there are advantages in switching to the Service Pension although the money is the same]. NZ Vietnam Veterans is a Facebook page. Brian Meyer has assumed the role previously filled by the Millers, that of tracking veterans and notifying deaths among our veteran community. Send feedback to this website first and I will pass it on. 27 July: A message forwarded from Australia advises "sad to inform you that Arthur Burton was put into hospital two weeks ago with stage 2 lung cancer and had two litres of fluid taken out yesterday. He can no longer get around by himself and things don't look too good. Please let as many people know as possible at your end. Pat’s [?] phone number is 0061754997873"
28 July: Arthur was sent home from Nambour Hospital on the Queensland Sunshine Coast a week ago. 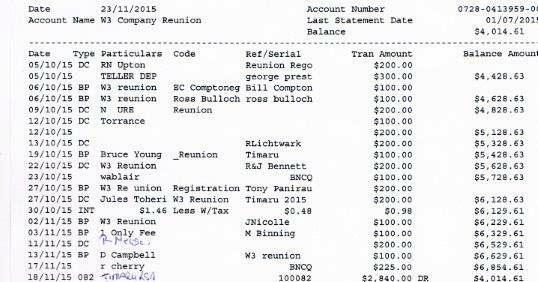 The local RSL sub-branch welfare people are assisting Arthur including liaising with NZVA. 22 August: Arthur's son Daryl arrived over from NZ on Thursday last. Arthur had 2 falls last night and is now in the Caloundra University Hospital. His prognosis is not good, Arthur was given 2 months to live 3 weeks ago and Daryl believes that he will not last that long. Arthur's condition has been accepted by VANZ as being terminal. The website is adding three new stories in time for Reunion 2015, being the three chapters concerning W3 people from the book 'Voices from Vietnam' published in 2008 and reproduced with the author Lt Bill Barnes 161 Bty permission. Chapters already published are those of Rhonda Upton and Pacestick - enjoy J The chapter for Denny King will follow once the contents are digitised and formatted. The reunion organisers have issued Newsletter 2 with details of costs and the registration form. Registration officially closes on 6 October 2015. Contact details for the organisers is included with the newsletter and registration. The W3 website has now been operating for 10-years. The table illustrates different statistics for visitors: unique visitors is based on different IP addresses [same computer multiple visits equals one] - No of visits is a computer who has not linked to the site in the previous hour - pages is the total of times a HTML [web] page has been viewed [but does not count PDF or other files or images], while hits show total of everything viewed or downloaded [page plus all images on page are counted] and bandwidth is the amount of data downloaded and read each month.